The Vishnu Devi Holy Caveis also called the shrine andis located at a height of 5200 feet in a green hilly area and it takes a long trek walking of around 12 km to reach the cave. It is present in India and has been considered as one of the most holy places of Hindus. It is present in between three mountain peaks which are called trikoot. The cave is the residence of the Hindu GoddessVishnu Devi who is famous as the mother who fulfills all the wishes of her child, this is the main reason that millions of people from India and far away areas use to visit the holy cave in the form of a pilgrimage which is known as Yatra. There is a very strong relation of faith and believe among the Hindus and the holy cave. According to the new estimation the number of people who use to visit has been increased to crore. The main activity called Darshan takes place in between three rocks which are called pindies. The most amazing thing about the holy cave is that there is not any statue of the Goddess like in other temples of Hindus. The pilgrimage can be done at any time as there is not any specific time and the cave use to be open in the whole year. 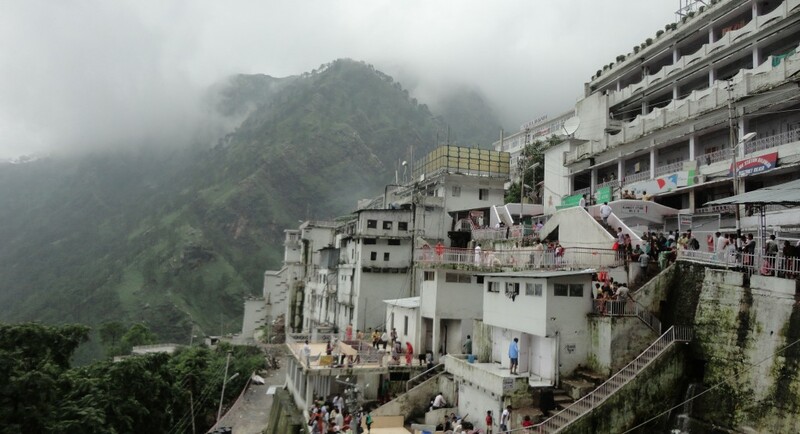 In 1986 the Indian Government decided to make a board for the holy cave and the pilgrimage which is known as shrimata Vishnu Devi shrine board and locally known as shrine board. The aim of the formation of the board is to facilitate the people coming for the yatra including different aspects. Beside this it is responsible for the development of the place and maintaining the rules and regulations.